Best of the Web: Shibuya246 Combini Monday | Oyatsu Break! New Feature! Best of the Web. Essentially, I’ll tell you about my favourite blogs, features, and individual posts on some of the many Japanese/Food blogs that I follow. These should go up more-or-less every weekend. First up, I’d like to send you over to the photo blog website Shibuya246, to check out their “Combini Monday” posts at http://shibuya246.com/category/conbini/conbini-monday/. Shibuya246 is the work of an Australian ex-pat named Alan, who photographs life in and around Japan with a focus on the Shibuya area. Festivals, advertising, fashion, and day-to-day life all fall under his lens, and he’s quite adept. 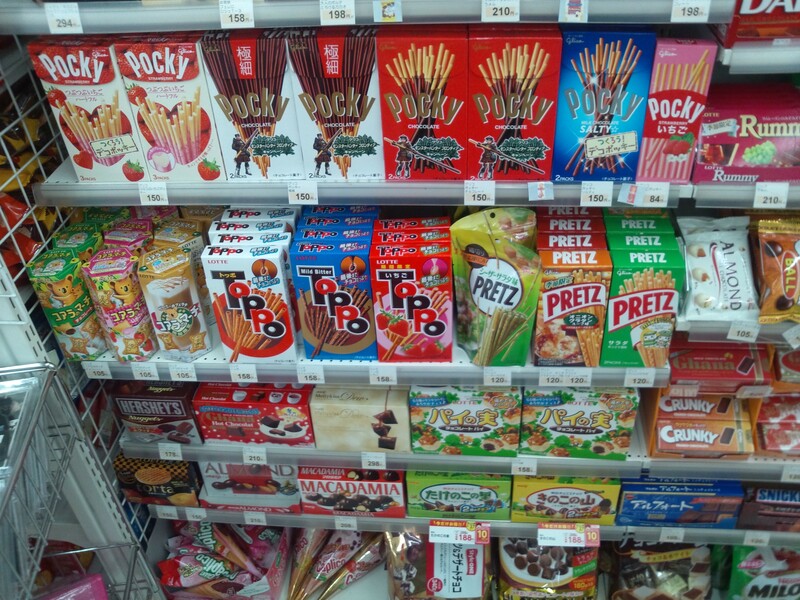 He has a regular feature on his blog called “Combini Monday” where he’ll walk into a Japanese convenience store (combini) and just photograph the new and interesting snacks and food. I like it because it can’t help but remind me of being in Japan, and my own combini photo trips, and because he generally takes some pretty solid photos. I’m always happy to see a new “Combini Monday” show up in my feed reader.